Still learning. Apparently always will be. Is there anyone who can bake stuff the same way every time? Who doesn't have strange and unexpected occurrences in their baking process? Not me. It's always an adventure. But, doesn't this look like Spring? Adjust the oven rack to the middle position. Preheat oven to 375 degrees. Whisk egg yolks in medium size mixing bowl and set aside. In a medium saucepan, combine cornstarch, water, sugar, and salt. Whisk to combine. Turn heat on medium and, stirring frequently (but gently), bring mixture to a boil. Boil for 2-3 minutes until mixture is thickened. Remove from heat and gradually, one spoonful at a time, add hot mixture to egg yolks and stir until you have added at least half of the mixture. Return egg mixture to saucepan, bring back to boil while gently stirring, and boil for 2-3 minutes more. 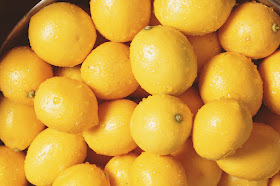 Remove from heat and gently stir in butter, lemon juice, and zest until well combined. Return to heat and bring to a boil again, for another 2-3 minutes. Mixture should be quite thick. Pour mixture into pie shell and top with meringue while filling is still hot. Make sure meringue completely covers filling and that it goes right up to the edge of the crust. Bake for 10 to 12 minutes or until meringue is golden. Remove from oven and cool on a wire rack. Make sure pie is cooled completely before slicing (recommended--cool for 1 hour or until room temperature, then for another 3 hours in the refrigerator). Place egg whites and cream of tartar in the bowl of a stand mixer fitted with the whisk attachment. Beat egg whites until soft peaks form. Add vanilla, and then gradually add sugar and continue beating until stiff peaks form, approximately 1 to 2 minutes. Use to top lemon filling. It's a lot of stirring. Truly. I have a whisking blister on my index finger. But patience pays off. The filling was perfect. Not runny at all. And not too sweet or gooey. I may have done something wrong with the meringue. I really wanted to be able to put it on the filling while the filling was hot, so the filling wouldn't have the opportunity to form any kind of skin. So I started it beating while I was stirring/heating the lemon mixture. I thought I would get it to the soft peak stage, get the lemon mixture done and in the pans, beat the meringue to stiff peaks and it would be ready to put on the pies immediately. But I think what I ended up doing was overbeating it. It tastes fine. And the texture is fine. But when it started to cool, drops of some kind of liquid started appearing on the surface of the meringue. All in all, the pie turned out great. In spite of the crust fiasco. In spite of whatever was going on with the meringue. In spite of my whisking blister. The crust held together for cutting and serving and had a great texture and delicious taste (if there's one thing I've learned in this process, it's how to save an almost-failed crust). The filling was tart and light. And the meringue added a little sweetness and airy texture to the filling. TGIP Rating--Lemon Meringue Pie--KEEPER--but you probably won't have many opportunities to make it as mr. is not generally a fan of Lemon Meringue Pie. Next up: For some reason Seconda wants me to try my hand at Shoo-Fly Pie. So I shall. Need to get see if I can wrestle my Great Grandmother's recipe from somebody this week. The droplets on the meringue happen when it is refrigerated. (I recall this from observing what happened when my Mom - the original Pie Queen - put her meringues in the fridge)Perhaps next time, do not refrigerate before serving. If there are leftovers, they do need refrigerating, but there will always be some droplets when you do so - but it won't alter the taste or the pleasure of the pie. Just doesn't look quite as pretty. But it's leftovers - so perfection is not required. 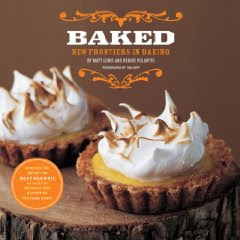 Clay likes this pie without the meringue, can you bake the lemon part with nothing on it and serve with whip cream? I don't know. I would think so because it would just be like a lemon tart. I MADE A LEMON MERINGUE PIE AND IT TASTED LIKE THE PAN, WHAT DID I DO WRONG! That's strange, Amber. I don't know what would cause that. Was it one of those non-coated metal pans? I would use either a glass or a coated metal pan in the future.